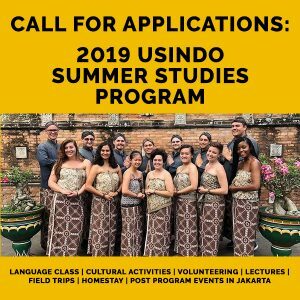 Applications for the 2019 USINDO Summer Studies Program are now open! Are you a U.S. university student or recent graduate interested in learning the language and culture of the most dynamic emerging economy in Southeast Asia, largest Muslim-majority nation, third largest democratic country, fourth most populous nation, and one of the most diverse countries in the world? 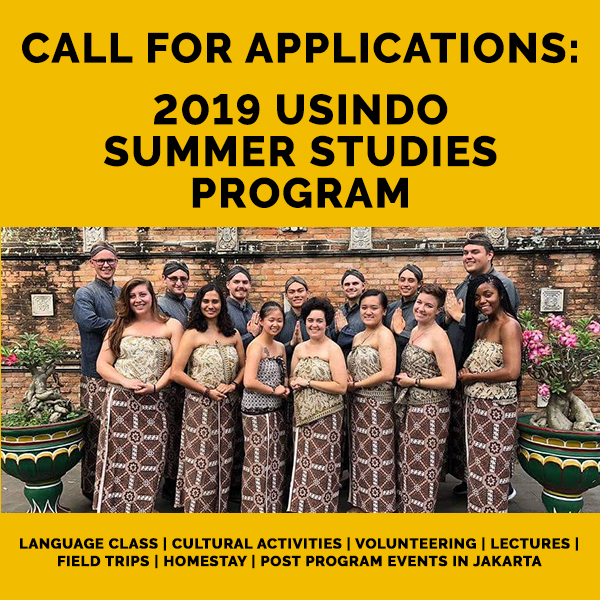 Apply now for the 2019 USINDO Summer Studies Program in Yogyakarta, Indonesia (May 23 – August 1, 2019)!